TheraSauna® was pioneered by QCA Spas, which has been recognized as one of the oldest spa companies in America. QCA Spas has been an innovator of patented spa therapy to relieve pain and stiffness and promote healthier lifestyles. Those same philosophies are incorporated into our TheraSauna® Infrared Health Saunas. In 1995, TheraSauna® received its first patent for the Stable Heat™ System. Today, TheraSauna® holds several patents and patents-pending on our MPS Infrared Control System™. TheraSauna® has been tested and approved by ETL in the US and Canada (Look for us under our company name, Quad Cities Automatic Pools, Inc.). TheraSauna® has applied for registration with the Food and Drug Administration under Infrared Health devices. 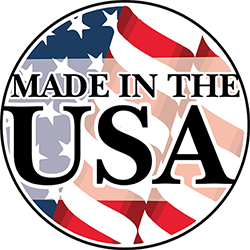 Quality is important to us, which is why our saunas are handcrafted in the USA. We are one of the only infrared sauna manufacturers in the United States that do not import our saunas from international suppliers. Our manufacturing plant is located in Dewitt, Iowa. To stay “A Step Ahead”, QCA Spas, Inc. believes in ongoing research and design to develop the most innovative infrared dry saunas and hydrotherapy performance spas on the market today. Our customer's personal satisfaction is, and will always be, our number one concern. QCA Spas, Inc. corporate headquarters are located in Bettendorf, Iowa. We also have manufacturing warehouse facilities in Dewitt, IA as well as warehouses located in Wisconsin and Europe to distribute our products globally.